In every issue of Alphabet Soup magazine we interview an author or illustrator. The trouble is, we can only fit some of their answers in the magazine. So we print the full interviews on the blog—we wouldn’t want you to miss out! 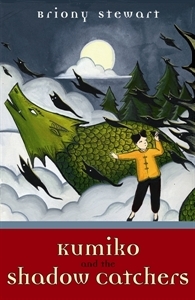 In issue 12 we talked to Briony Stewart, author & illustrator of Kumiko and the Dragon, Kumiko and the Dragon’s Secret, and Kumiko and the Shadow Catchers. In a house! But I wish it were a tree house. What do you love about being a writer-illustrator? I’ve always enjoyed being “away with the fairies,” (as my mum used to call it,) I love daydreaming! Imagining things, solving problems and inventing are some of my favourite things to do. When the things I dream up make other people happy, make them laugh or have a good think, then it makes me happy too. Hmm … a tricky question … Can I say yes and no? But I’ll also say no, because the truth is, even though I ended up in the right place at the right time, I had done a ton of work to get there in the first place. I studied fine art and writing at university, and I wrote and drew every day from the age of fifteen because I decided I wanted to publish a book one day. I used to say I got lucky, but then someone said “you make your own luck,” and I think that’s kind of true too. I love movies, especially but perhaps not surprisingly, kids movies, sci-fi and adventure films. I also like making things—anything. Right now I am trying to make a hexagrammic antiprism lampshade out of cardboard for the kitchen. I also like long chats over a cup of tea, cycling (lazy cycling that involves scenery, short distances, and ice cream), pottering about in my kitchen cooking with music turned up loud enough to sing along to, or sitting on the back steps patting my rabbit Winston, whilst quietly observing the garden. What made you become a writer-illustrator? 1. Other people’s books and stories. I wanted to live in their worlds forever, so I started extending and exploring their stories in my head. For instance, I would take myself on walks through Misselthwaite Manor as though I was Mary from The Secret Garden. Soon I started coming up with my own stories and worlds too. 2. When I was 15 I started catching the train to school. It took half an hour and it was boring, so I started writing journals (and dreaming) to pass the time. 3. My English teacher started reading my journals, then the English department, then my friends. I liked having readers to write for. My teacher told me I should publish a book, which was great because I secretly wanted to anyway. Having people who believed in me helped me decide to do it. Mostly I come up with ideas from things I see or hear or feel in everyday life. Sometimes they morph with some of the daydreams that have been floating around my head for a while, and mutate into a story. I have always been inspired by old stories, myths and folktales too, I’m not sure why. Anything that sounds mysterious and possibly real gets me pretty excited. Keep practising, and trying new things all the time. Art and writing is something that for the most part, you have to teach yourself because unlike a lot of other subjects it’s individual. Collect authors and artists that you really like, and study the things you like most about their work. Keep making your own stuff and stick at it. If it really means a lot to you, there’s no way you won’t get really good at it. 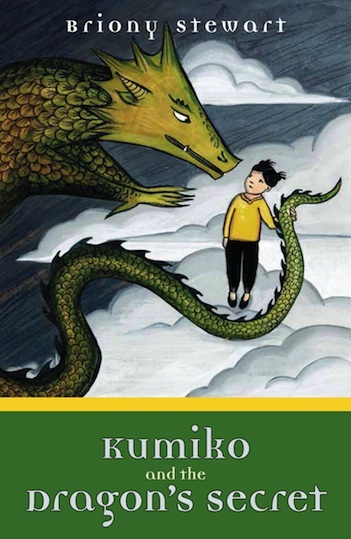 Well, I have just finished my last Kumiko and the Dragon book, and have just begun a new novel for teenagers. It’s about growing up, and graffiti. There’s another novel I am working on too, its for upper primary school students and it is to do with time travel. I think it’s going to be awesome … so awesome that I can’t say any more! Are there any writers/illustrators who influence your writing/artwork? Shaun Tan showed me that illustration and art are the same thing, and I admire that. I love fine art illustrators, like CM Barker, Mucha, Searl, Rackham and Dulac. I like the animated work of Miyazaki and the written work of Tim Winton and poet Robert Frost. But songs and scientific drawings—even beautiful packaging—influence me! I find something to love in the work of most authors and illustrators. 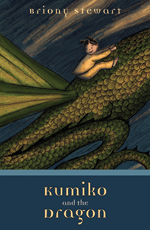 When you were working on the Kumiko books, which came first—the artwork or the story text? Kumiko definitely started out as a story that I wrote down, but for me images and writing are closely linked. I see the events of a story vividly as I write—almost like watching a movie. I would have loved to have painted all the scenes from Kumiko and the Dragon but the story was too long to be a picture book. Because I knew there would only be 20 black and white pictures, I actually turned many of the images into description instead! So the story is more vivid because I absorbed a lot of what would have made great pictures into the writing. Also, as I am writing I often draw the scenes and characters as references while I’m writing. So the text and art in this book really grew together at the same time, though the text was completed before the final illustrations were done. What materials do you prefer to use in your artwork? I am more of a drawer, so pen and pencil are my main tools. But I like using gouache and watercolour paints too, and have started using them more. Of course! Kumiko and the Dragon had to be black and white, but I chose the style and materials because they reminded me a bit of traditional Japanese wood block prints, and Manga, which are both inherently Japanese. But I would equally use soft, watercolour washes for a gentle story, or bright bold, gouache for an action packed adventure! Do you mostly write in a paper journal, or on a computer? Time wise I mostly work on the computer, but paper journals are special. I like making covers for new journals, and collecting them. They remind me that I am working towards a book, not a blog or email. They also keep better records of all my more random thoughts (from the doodles in the margins to the shopping list in the top corner). I use my journal for all the real creative work, and only use the computer to pull all the little pieces together, to begin the long process of editing. 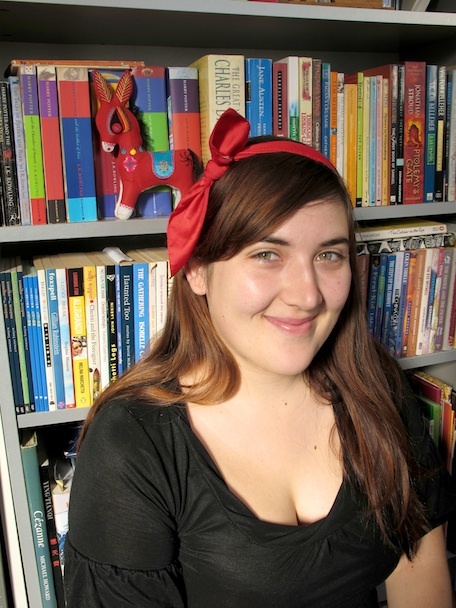 For more information about Briony and her books, check out her website.